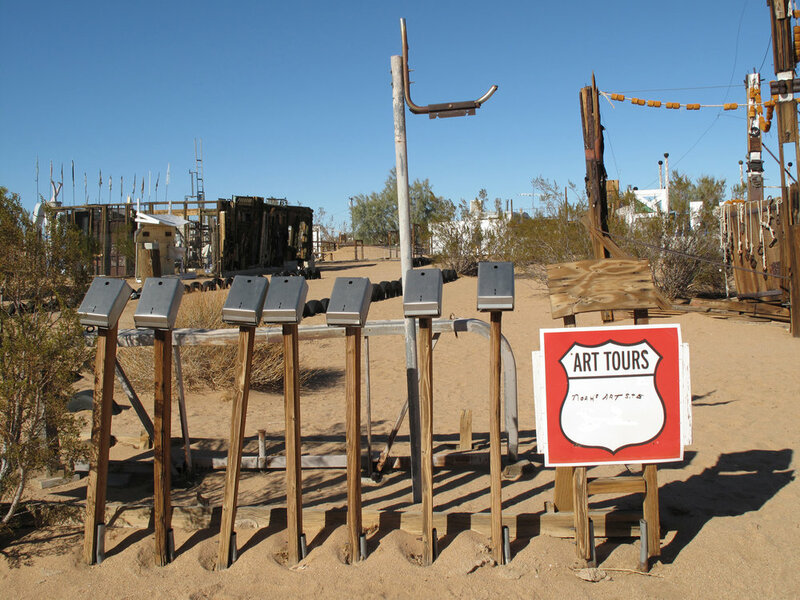 The Noah Purifoy Foundation is offering docent-guided tours to the general public! Our docents knew and collaborated with Noah over many years and are able to bring his art and artistic process to life. You can read bios of two of our Trustee docents Sue Welsh and Joe Lewis. Our President’s Weekend tours have been postponed until weather conditions are a little more predictable! Please check back in the coming weeks for new tour dates! NPF trustee and co-founder, Sue met and collaborated with Noah Purifoy in the 1960s when Noah was the first director of the Watts Towers Art Center. When Noah resigned from the California Arts Council in 1987, Sue represented him and provided a space in Los Angeles, Tara’s Hall, for his artworks to be seen and sold. With increasing national attention to his Joshua Tree desert art museum, Sue suggested establishing a foundation to support his artistic practice and legacy. Together Sue and Noah started NPF in 1999 as a private, non-profit, all volunteer organization, now in its 19th year. In 2015, Sue initiated NPF’s urban arts program and curriculum for middle school students drawing upon Noah’s principles of the art process. It’s called Gil Friesen Art Day, named in memory of Friesen, NPF emeritus trustee and donor. The full day includes a docent tour of Noah’s museum, lunch and a windshield bus tour through Joshua Tree National Park for South Los Angeles students and staff.